1. He can be arrested for sacrilegious conduct. Zambian laws forbid hate speech, actions against religion. 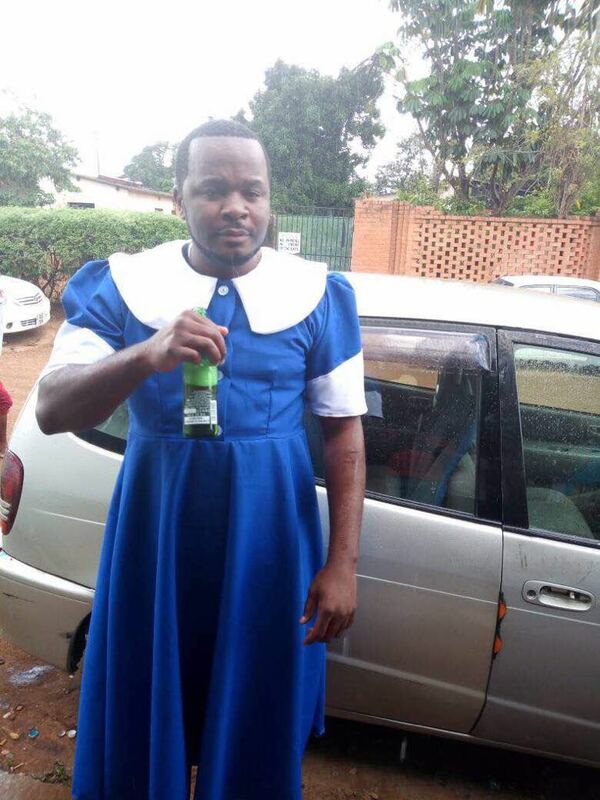 Chongu’s action of wearing the SDA Dorcas mother’s uniform while going into bars to consume alcohol amounts to hate speech, conduct against the religious feelings of the SDA membership. Section 128 of the penal code reads, “Any person who with deliberate intention of wounding the religious feelings of any person, utters any of makes any sound in the hearing of that person, is guilty of a misdemeanor and is liable to imprisonment for one year”. 2. Chongu can be arrested for wearing a woman’s attire. The Zambian laws forbid males from publicly donning in ‘apparels’ of females other than for theatrical performances, in designated areas. If Zambia was a Muslim country, this guy’s funeral could have ended two days ago.